Although it�s based on the same platform as the Passat, the Volkswagen CC is clearly a horse of a different colour. Different body treatment, different interior, different passenger layout, different marketing approach. If the garden variety Passat is aimed at young families who want something a little less humble than the Jetta, the CC is aimed at upwardly-mobile professionals who may have kids, but still want to make a statement about what they drive. The regular Passat is a fine looking automobile, but the CC is off the charts as far as styling goes. It gets my vote as the best looking car in this category, and one of the nicest looking cars on the road, period. 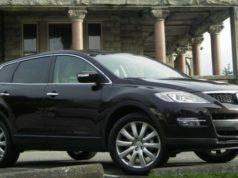 I�m not alone here; the Automotive Journalists Association of Canada (AJAC) voted the CC as �Best New Family Car Over $30,000� in 2009, and I know its styling figured largely in this award. Bearing an uncanny resemblance to the Mercedes CLS – and the new Hyundai Sonata, for that matter – the CC (which stands for Comfort Coupe) comes in three variations: Sportline, Highline, and Highline V6. This latter model is powered by a 280-horsepower, 3.6 litre V6 and has VW�s 4Motion all-wheel-drive, while the other two use a turbocharged / intercooled 2.0 litre four cylinder that develops 200 horsepower and can be mated to either a six-speed manual or six-speed automatic. This engine is also found in the GTi, and in this configuration, has VW�s Tiptronic manual shift feature as well, which allows you to change gears via steering wheel-mounted shift paddles. It adds $1400 to the price tag and can be ordered as a stand-alone item. My tester was equipped with the Tiptronic, and, given this car�s overall flavor, would be my choice. 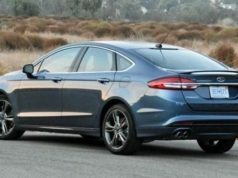 I see the CC as a kind of designer car, with less emphasis on performance and hustle, and more on style and presence. VW gives it a 0 to 100 km/h time of about seven-and-a-half seconds, and a purported top speed of almost 210 km/h. All things considered, that�s more than enough. Fuel economy is mediocre in town but decent on the highway: 9.6 L/100 km and 6.6, respectively, and the CC requires premium grade gas. That said, I found take-off power to be a little on the leisurely side. Unless you bury the gas pedal, the CC takes its time getting underway. There�s no shortage of power, but VW has apparently designed the automatic to emulate that of a luxury sedan and it feels less sporty than some other VWs I�ve driven. This transmission, by the way, is also used by Audi (I first encountered a version of it in the TT) and what it may lack in off-the-line punch, it makes up for in smoothness. The votes are still coming in when it comes to its long-term reliability, however. A word about the interior. My Highline version featured all-leather seats and tasteful brushed aluminum trim. Along with Infiniti and Audi, VW is currently delivering some of the tastiest interior treatments in the industry, and this one is no exception. When you slide behind the wheel of this one, you really feel like you�re getting into something special. I particularly like the transverse pleating on the bucket seats, and the dash layout. One thing, though. 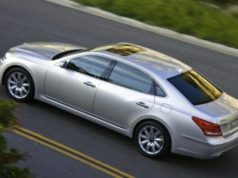 Because of its sleek roofline, there isn�t a lot of headroom in the CC and even just getting in and out of it requires a little forethought. I don�t know what the answer is here, and the seats do have all kinds of adjustments built in, but I pranged my head on the roof more than once, and the scarcity of headroom would be a deal-breaker for me. I just need more head space, man. Not to mention decreased peripheral visibility. The regular Passat is superior to the CC when it comes to all-round visibility. And prospective buyers should know that there is only room in the back seat for two. Needless to say, standard equipment level is high, and the CC comes with things like cruise control, electronic parking brake, heated front seats (three settings! ), rain sensing wipers, a stability control system, and Sirius satellite radio. For the Highline model, add 18-inch wheels and tires (up from 17-inchers), climate control, vented sunroof, and 12 power adjustments on the front seats. My car also had a couple of options: navigation system with rearview camera, and VW�s R-Line package, which includes upgraded alloy wheels, and various exterior bits and pieces. Together, they add some $5400 to the car�s price tag, and strike me as being kind of unnecessary. The R-line package is also new for 2011, and is only offered with the Highline model. But this car is so attractive in its base form, extras really aren�t needed, and the overall feeling behind the wheel is one of luxury and European elegance�.typical of most VWs.